VersionEye offers Reference Badges now! 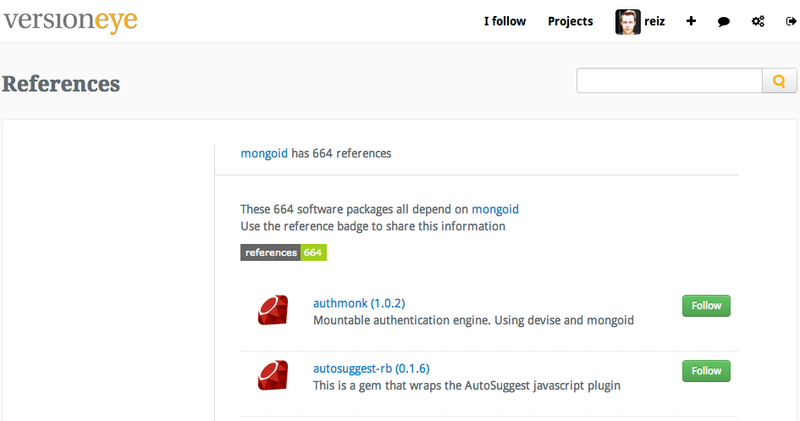 Beside the Dependency Badges we show to each software package a reference badge. Which shows how many other software packages rely on the selected package. This is the example for MongoID. But that’s not all! Now in the search results the reference count is listed as well and it influences the ranking of the packages. If a package has many references it must be more important than other packages with same name but 0 references. 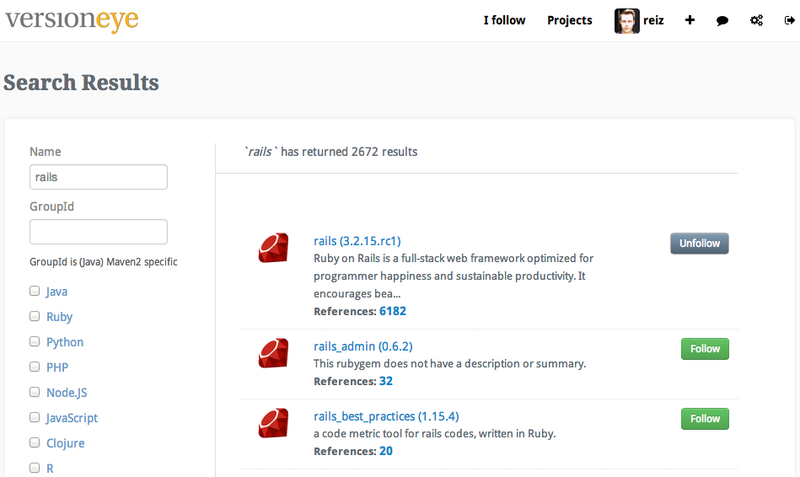 Here are the search results for “rails”. Try them the reference badges on your GitHub and Bitbucket pages and let us know what you think.